Now this is a waterproof golf jacket! 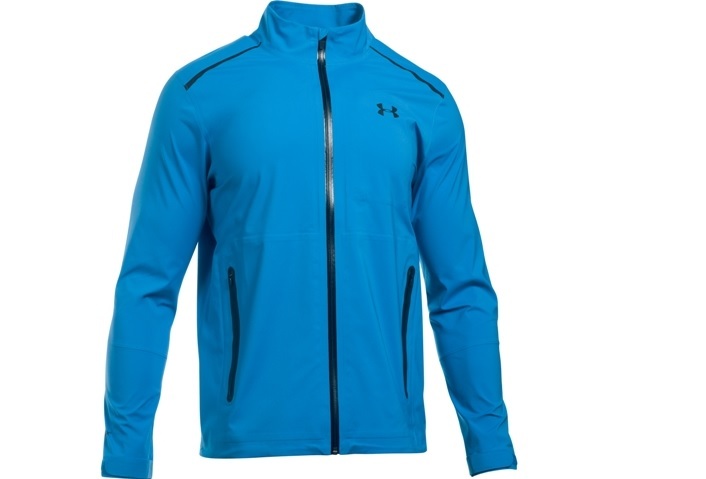 If you're in the market for a new golf waterproof suit, then the latest from Under Armour should sit higher than the angel on the Christmas tree you've *hopefully* just put up. 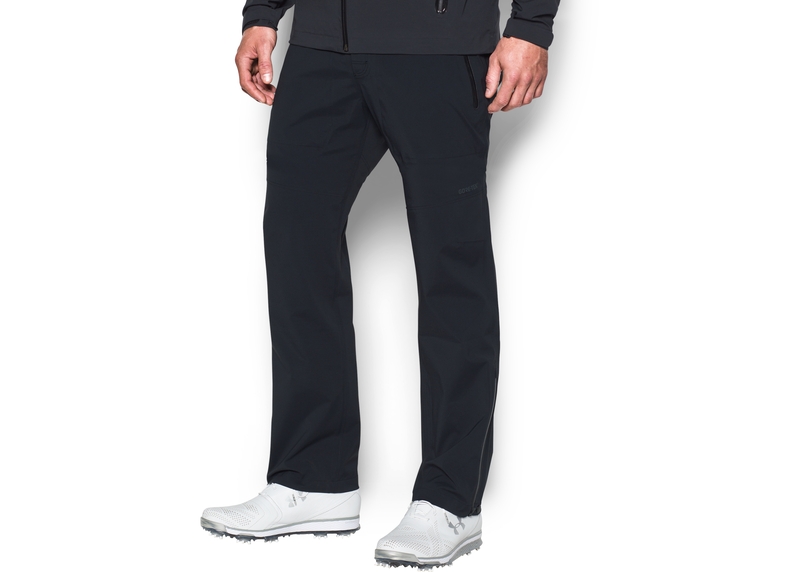 Under Armour's latest Storm Gore-Tex Paclite represents the perfect waterproof golf jacket for you die-hard golfers this Autumn and Winter. 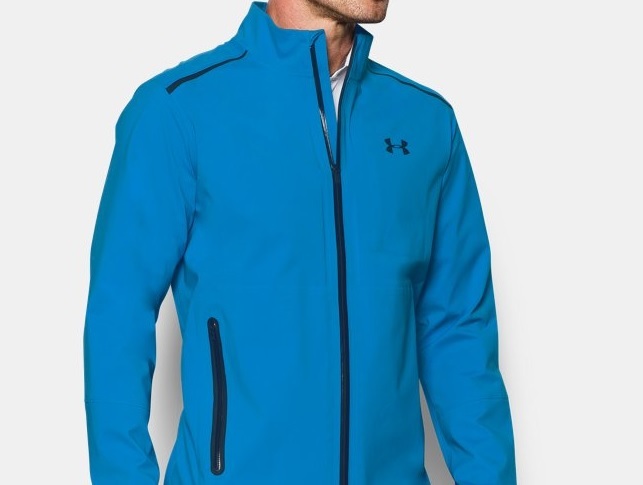 Available in striking black and blue colour versions, the key ingredient to this jacket is Under Armour's 'Storm' technology that repels water without sacrifying breathability. As the experienced golfers among you will no doubt have realised by now, if a waterproof golf jacket doesn't come with Gore-Tex properties then it's probably not going to be much cop when the heavens open and the wind hits. The Gore-Tex packed inside this Paclite jacket is 100% waterproof, as you would anticipate for its hefty price tag. Other major positives include its 2.5 layer bonded fabric featuring a durable, smooth exterior and brushed interior that is ever so comfortable. Its adjustable hems and cuffs add to its overall appeal and fit, while its secure hand pockets are ideal for when walking in between shots. 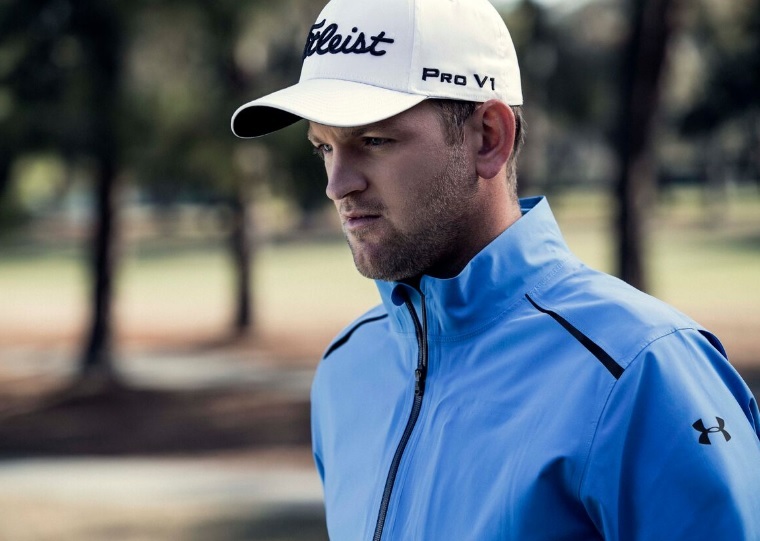 Like with all premium golf jackets these days, the product remains relatively quiet during the swing. Gone are the days when swinging in a golf waterproof jacket and it sounding like Damon Hill just whizzed past you in his Williams. Golf isn't a great deal of fun in the wind and rain, but for the majority of us, nothing will ever get in the way of the game we love. Especially if you've slipped yourself into the Under Armour Gore-Tex Storm Paclite jacket. Comfortable, repels the rain and shields you against the breeze. It's also breathable and allows you complete freedom of movement during the swing. I would highly recommend purchasing a pair of Under Armour Storm Gore-Tex Paclite Trousers (£190) to not only match the jacket, but also give you complete waterproof and wind protection across your entire body. 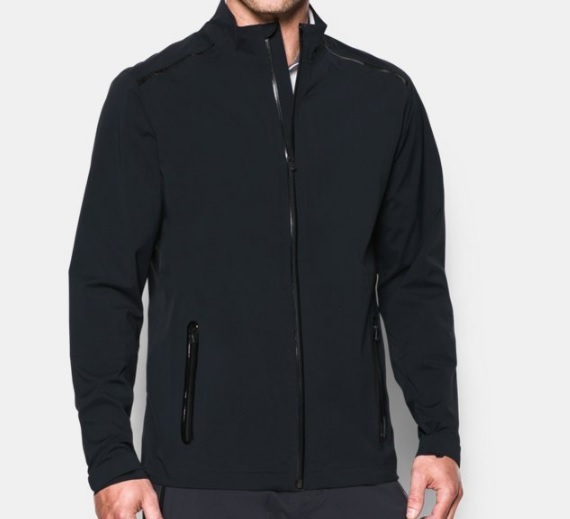 This garment won't turn you into Jordan Spieth overnight, but it will go someway to allowing you to concentrate on your golf and forget about the weather while you're on the course. Phil Mickelson has monster calves!